Did you know that 40% of couples with minor children who divorce later regret it? If you are a partner that is not sure, but wants out of the marriage more than your partner does, you are a “leaning-out” partner in our system of discernment counseling. Our goal with you would be to help you decide whether to work on the marriage at all, as opposed to helping you and your partner fix it now. Discernment Counseling was developed as a special process because traditional change-oriented marriage or couples therapy is often unhelpful when one or both partners is ambivalent about working on the marriage. 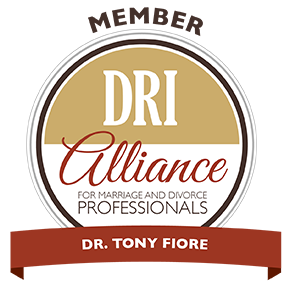 The goal of discernment counseling is to help couples have greater clarity and confidence in their decision making. The immediate decision is framed not as whether to stay together or divorce but whether to continue moving towards divorce or committing to six month effort to restore the marriage, with divorce off the table for that time period. We see you individually to explore your reasons for possibly ending the marriage or relationship and then help you decide how “fixable” the reasons are. Some issues are much easier to repair than others, some are worth struggling for more than others, and some may be healed more quickly with your help and support. Dr Tony Fiore. All rights reserved.